I have come to realize this is what the Truck Farm offers me. Freedom to say what I think & stand up for what I believe. Freedom to laugh and invite the world to join me. 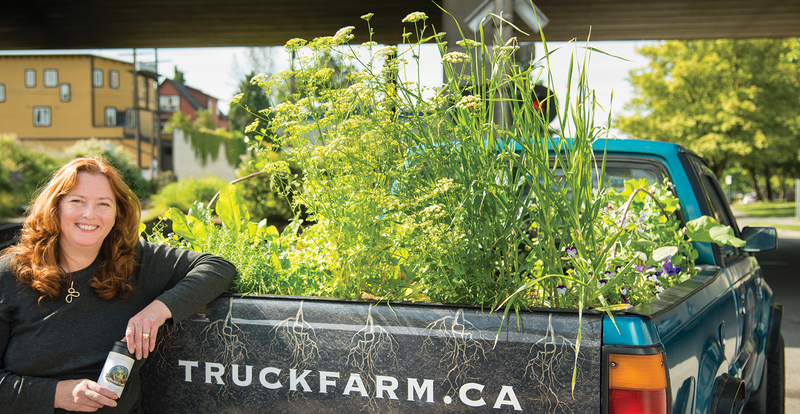 I had no idea how much pure joy the Truck Farm could create. I rebranded my rusty old pick up into something special that makes people smile and want to share their own stories. Freedom to do what I love, including design, advertising, illustration and, of course, gardening. Freedom to ignite curiosity in kids. Freedom to show the world that people should not, and cannot, be defined by physical age. It is an amazing journey. One I hope to be able to continue to share.